It’s official: he’s ba-a-a-ack. 43 year-old Tiger Woods did what many experts said he could not – win another major title. After four knee surgeries, four back surgeries, and many well-documented, off-the-course scandals, Woods was counted out by everybody – including Woods himself who wondered if he would ever play again, much less win a major. Yesterday, Woods turned back the clock to win his fifth Masters title at a place, Augusta National Golf Club, where he dramatically announced himself to the world as a brash 21 year-old winning his first green jacket by a record 12 strokes in 1997. 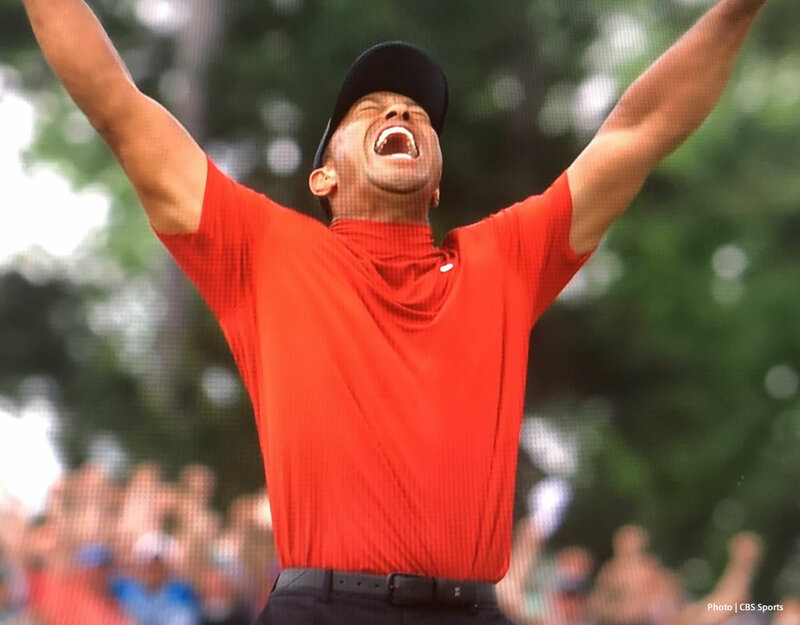 Woods’ fellow golfers, prominent athletes in other sports and presidents – current and former – took notice of the achievement, which some are calling the greatest comeback in sports history.